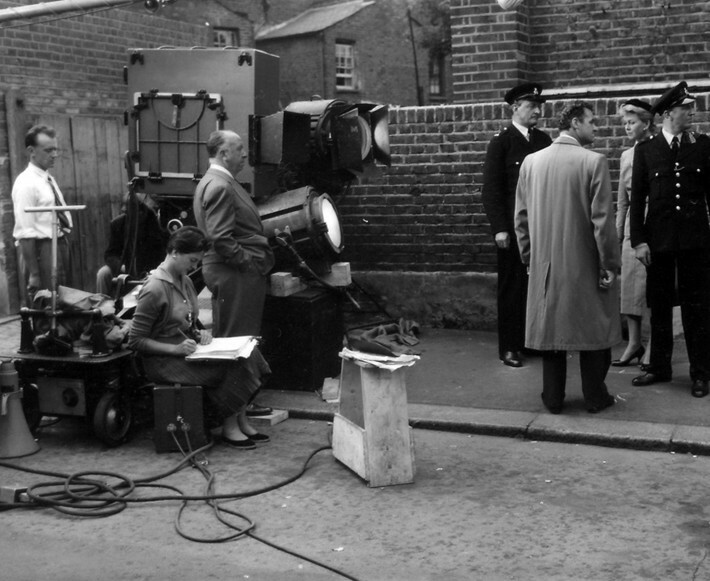 Dr Melanie Bell, University of Leeds, provides an overview of a new Learning on Screen resource, which sheds light on the history of women’s contribution to British film and television production. About the Author: Dr Melanie Bell is Associate Professor in Film and Media at the School of Media and Communication, University of Leeds. She completed her PhD at the University of Hull’s Department of Gender Studies in 2004 and then took up a post as Film Studies lecturer at the University of Newcastle. During her ten years at Newcastle, she convened the MA Film Studies programme and served as Acting Director of the Research Centre for Film and Digital Media (RCFDM). In 2014, she won a major AHRC award to research the history of women in the British Film and Television Industries. Melanie joined the University of Leeds School of Media and Communication in 2016 as an Associate Professor in Film and Media. Her principal research interest is the relationship between gender and film, with an emphasis on production and representation. She has published widely in this field including Femininity in the Frame (2010), a co-edited collection British Women’s Cinema (2010) and a special edition Working Women, Women’s Work: Production, History, Gender for the Journal of British Cinema and Television (Vol. 10.3: 2013). An innovative new digital resource was launched in February 2018 containing original materials documenting women’s work in the British film and television industries. The resource is the result of a unique partnership between Learning on Screen, the media union BECTU and the ‘History of Women in the British Film and Television Industries’ project (led by Dr Melanie Bell and Dr Vicky Ball). The resource, titled Women’s Work in British Film and Television, makes available for the first time two complementary sets of data – one quantitative and one qualitative – which offer a distinctive insight into media production histories. The quantitative dataset is a complete collection of membership application records made by media technicians to the film and television union BECTU (known as ‘ACT’ and ‘ACTT’ in earlier incarnations) between 1930 and 1990. Comprising almost 68,000 applications, the union’s structure covered not only film production (features, shorts, documentary, newsreel and laboratory workers) but also independent television and several BBC grades, making the collection a unique record of the media industry’s workforce. The application records include both professional information about each technician, their role, grade, pay and employer, alongside biographical data such as name, age and (in earlier forms) marital status. The historical ‘closed shop’ nature of the industries meant that all employees applied for a union ticket, thus the collection contains the membership records of the ‘great and the good’ – David Lean, Joseph Losey, Muriel Box – alongside their less well-known co-workers. Connie Willis (seated, left) working as a continuity ‘girl’ on the set of The Man Who Knew Too Much (1956), co-starring Doris Day (standing, right). Photo courtesy of The Cinema Museum. Scanned copies of the forms are available on the Learning on Screen resource alongside a fully searchable database of specified core fields. Researchers can search the collection by gender, grade, job title, employer, department and date of application. From this it is possible to build a picture of the media production workforce at, for example, different historical moments or to establish an employer’s average pay rates. The Learning on Screen resource also hosts a suite of oral history recordings with women who worked in the British film and television industries. These recordings offer researchers a distinctive insight into the working lives of technicians, told from a woman’s perspective. While the trade union records include men as well as women, the oral history recordings prioritise women, a deliberate strategy on behalf of the research team who sought to redress the under-representation of women in film and television histories. Twenty-five newly recorded interviews are made available for the first time through the Learning on Screen resource. These are life-story interviews, on average seven hours in length, and cover interviewees’ family and educational background as well as their working lives in detail. Some of the women are well known – the film editor Anne V Coates (Lawrence of Arabia, 1962) and Coronation Street writer Adele Rose – but most will be unfamiliar to listeners. They include Ada Hakeney, the first women to qualify as a BBC engineer in 1972 and the make-up artist Linda DeVetta who fought to work in the feature film industry at a time when men dominated the profession. For many interviewees this is the first time they have spoken in detail, and at length, about their working lives and their testimonies bring a new perspective to film and television history, challenging received wisdom about the role of women in these media industries and the value of their work. Preliminary research has opened up not only gendered but also regional and working-class perspectives on production, which test existing histories written predominantly from white, southern and middle-class perspectives. The recordings are available in audio form with synchronous transcription i.e. rolling text visible alongside the spoken word. In addition to the 25 new recordings, the ‘Women’s Work’ resource also contains the transcripts of over 40 interviews with women recorded by the British Entertainment History Project, BECTU’s own oral history programme. These include interviews with writers, directors, editors, costume designers, secretaries and script supervisors among others. Researchers can download transcripts to find out more about women’s experiences of working in British film and television. 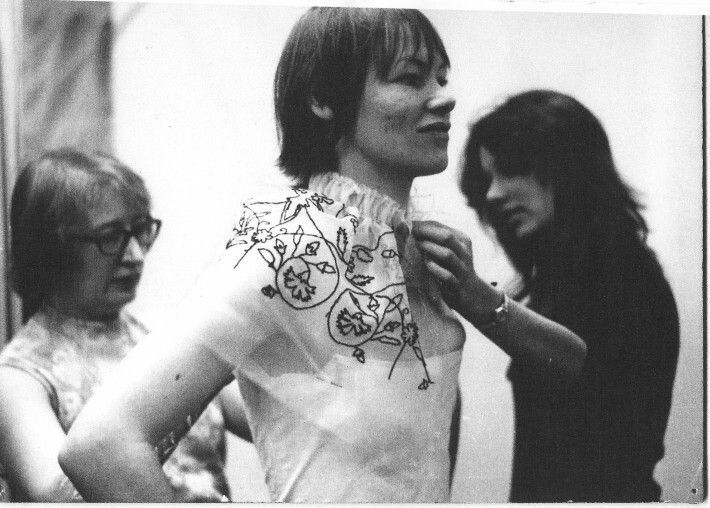 Caroline Hutchings and Jean Hunnisett in a costume fitting with Glenda Jackson for the BBC series Elizabeth R (1971). Image © Elizabeth Waller. The resource also contains contextual information including an interactive timeline, which allows users to explore the history of women in British film and television production, tutorials to help you navigate the database, information about the ‘History of Women’ research project and details about the oral history recruitment process. The membership records reveal that, across the entire collection, 28% of applications came from women and 72% from men. Applications from women jumped significantly during World War II, to 32%, and again during the 1980s when 37% of all applications came from women, the majority through television companies. The membership records show how women were virtually excluded from some areas of production. Only 5% of all sound applications came from women although oral history and surviving documentation has shown that, for the few women who did manage to get a foothold in the profession, opportunities existed for significant creative agency. The records also reveal how some companies were more likely to employ women than others. In Britain’s leading animation studio Halas and Batchelor for example, 46% of all trade union applications received between 1939 and 1970 came from women, demonstrating how numerous women were as a proportion of the company’s workforce. And, contrary to received wisdom, the director and script supervisor Kay Mander was not the first woman to join the trade union in 1935. That honour belongs to Hasel Margaret Sharpe in the Make-Up Department of Julius Hagen’s Twickenham Studios whose union application was accepted in 1933, alongside a host of other women that year including floor secretary Winifred Dyer, assistant cutter Winnifred Hennessey and cutting room assistants Patricia Danes and Freda Wells. While as a historian I am wary of lapsing into ‘first-ism’, this gives an indication of how these newly available records are helping to refine our understanding of British media history. To find out more about how materials from the Learning on Screen resource are being used in research see Learning to Listen: Histories of Women’s Soundwork in the British Film Industry, Screen, 58:4 (2017), and Rebuilding Post-War Britain, Female Technicians and Non-Fiction Film, Feminist Media Histories, 4:4 (2018, forthcoming), both by Dr Melanie Bell. Additional research will be published in the next few years including a major monograph Female Technicians: Women, Work and the British Film Industry 1933-1989, written by Melanie Bell and published by the University of Illinois Press in 2020. To access the resource, visit: http://bufvc.ac.uk/womenswork. To find out more about the ‘History of Women in the British Film and Television Industries’ research project contact Dr Melanie Bell (m.bell1@leeds.ac.uk) or Vicky Ball (vicky.ball@dmu.ac.uk), you can also visit melaniebell.co.uk. The ‘History of Women in the British Film and Television Industries’ project was funded by the Arts and Humanities Research Council between 2014-2017. Principal Investigator: Melanie Bell (University of Leeds); Co-Investigator Vicky Ball, doctoral student Frances Galt (both DeMontfort University) and Research Associate Sue Bradley (Newcastle University). Management of the digitisation process was led by Linda Kaye (formerly Head of Research at Learning on Screen) and Gabriel Hernandez (Head of Digital Development at Learning on Screen).